What to call this? 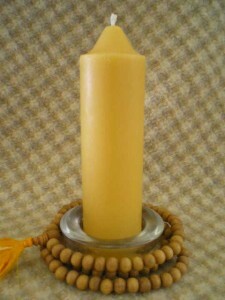 a taper, a big tall votive, or…? 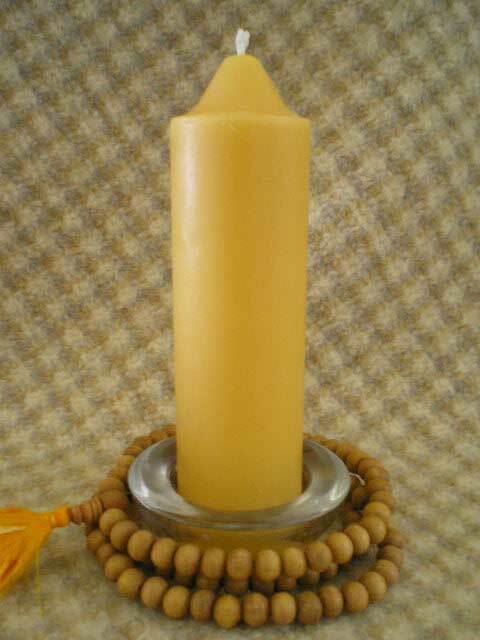 We call it chunky taper, for lack of a better term BUT it’s a really useful candle to have around…it fits in a votive base (as shown), or can be used in old-fashioned wrought fixtures, etc., or just keep in your emergency kit for when the power goes out. Drips very little. A good choice for emergency use as the burn time is upwards of 20 hours. Measures 6 1/2″ x 1 3/4″. Pure cotton wick.